Why is cattle fencing important? The thing is, you wouldn’t want your cattle to graze on some other person’s property. That’s alright if you are in a place where there is a shared-grazing rights policy implemented by the government. Otherwise, it simply isn’t acceptable. When your cattle graze on other rancher’s private property, that means those other ranchers would have less grass, therefore, less food, for their cattle. Now that the importance of cattle fencing is established, surely, you will want to install fencing on your property. Since most cattle thrive on grazing, you need to set up your ranch in a rather wide area. That makes cattle fencing more costly, than, say, fencing for your country house. You need to consider the material you would use, and the layout of your ranch. You need to consider the points where your fencing would go through – waterways, driveways and buildings such as barns or silos. You also need to know where the corner posts would be as you need to make those posts stronger. 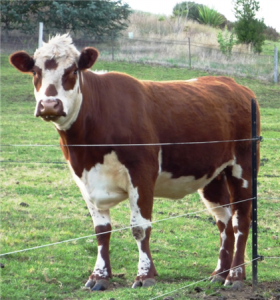 Use a three line fence for beef and dairy cattle. Extra grounding every 1300′ to 2600′ (particularly where soil is dry e.g. : hill tops). Note: Temporary fencing can be a single line at a height of 28″ or two lines – one set at a height of 28″ and another 12″ below. Use a four line for cattle fence. Extra grounding every 1300′ to 2600′ (particularly where soil is dry e.g. : hill tops). Note: temporary fencing paddock division for rotational grazing can be a single line at a height of 28″ or two lines – one set at a height of 28″ and another 12″ below.